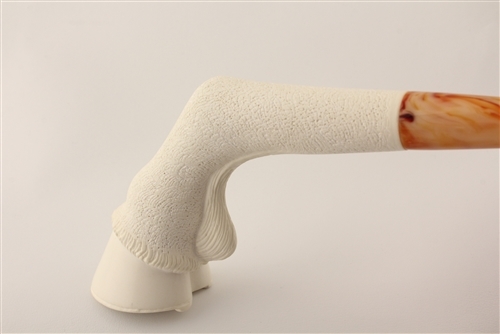 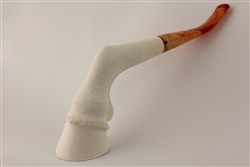 Hand Carved Horse Hoof Meerschaum Pipe - These Meerschaum Pipes are Hand Carved from 100% Solid Block Meerschaum. 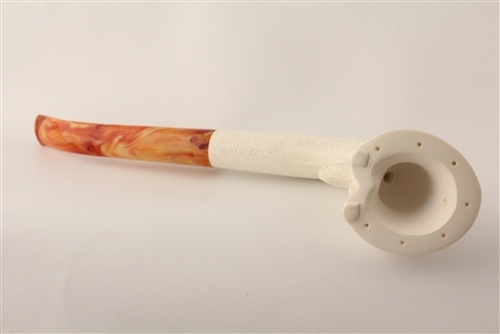 Each is hand carved so no two pipes are exactly the same. 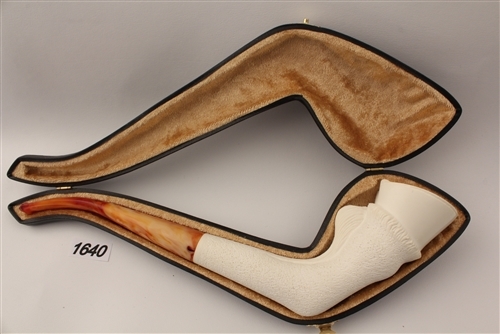 Each hand carved pipe comes in a custom made velvet lined fitted case, which is unique to that pipe. 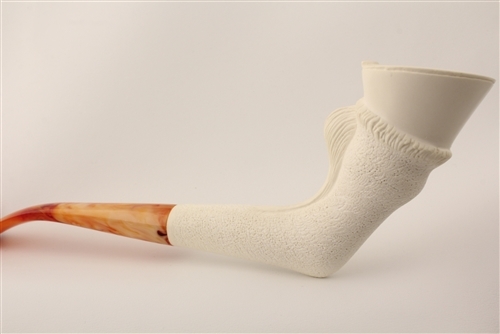 Length : 26 cm = 10.2"
Height : 8.5 cm = 3.35"
Width : 4.4 cm = 1.73"
Tobacco Chamber Diameter : 20 mm = 0.80"
Bowl Depth : 44 mm = 1.73"